Mixed vegetable ishtu is actually the Malayalam/Kerala version of the vegetable stew .This stew is easy to prepare one .Lots of vegetables added to this Kerala curry and simmered in coconut milk and seasoned with mild spices .Vegetable Ishtu is a classic traditional Kerala dish that goes well with appam/Palappam/Velyappam/idiyappam mostly . 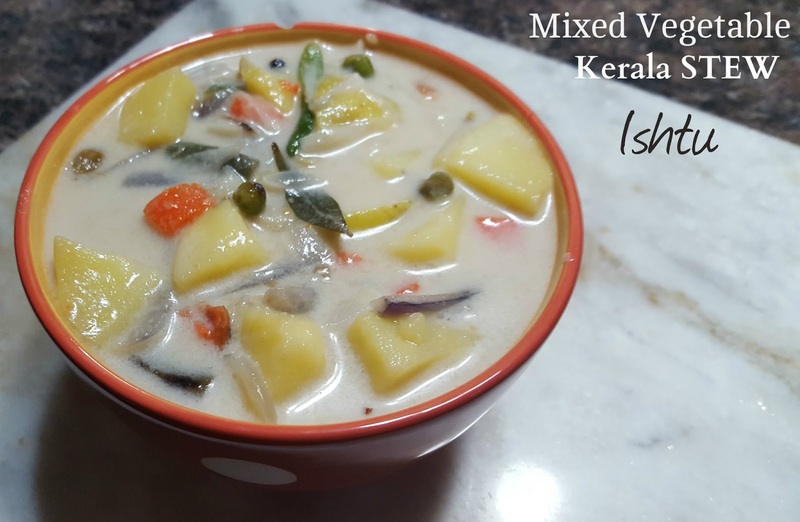 Unlike other stews,Kerala ishtu doesn't need to be simmered for long .So,it is quick and easy stew recipe . And this is how I make mixed vegetable ishtu Kerala style . Green Chilies,sliced - 3-4 Nos. Black pepper - 8-10 Nos. 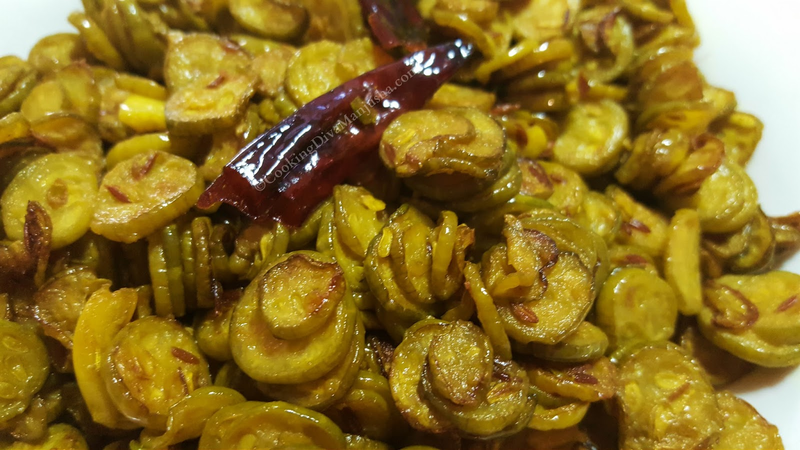 Usually,appam and idiyappams are served with spicy curries and also with non-vegetable curries but if you are not into a spicy curry or a non-vegetarian fan,then this mixed vegetable ishtu is meant exclusively for you . 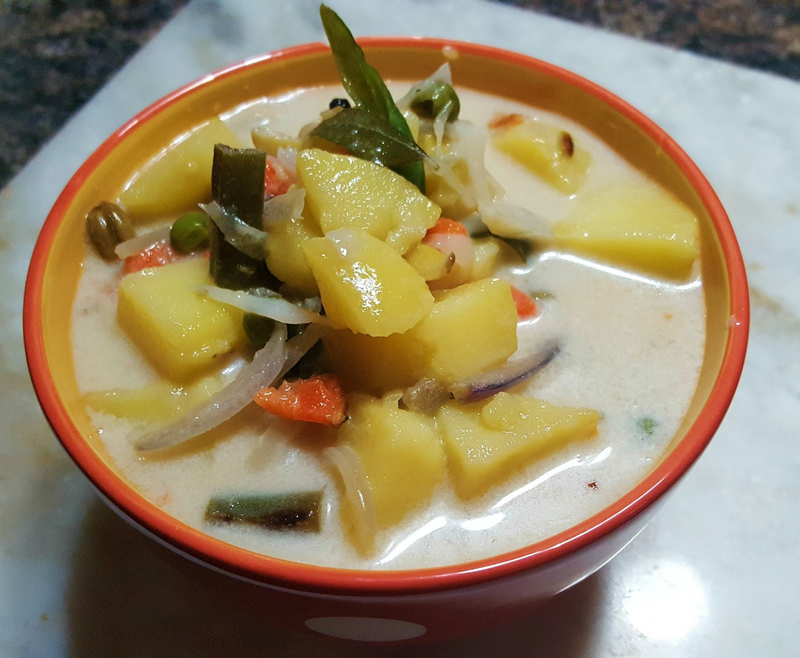 Try this stew/Ishtu from God's own country that is subtle,creamy,light,mild,aromatic and delicious. 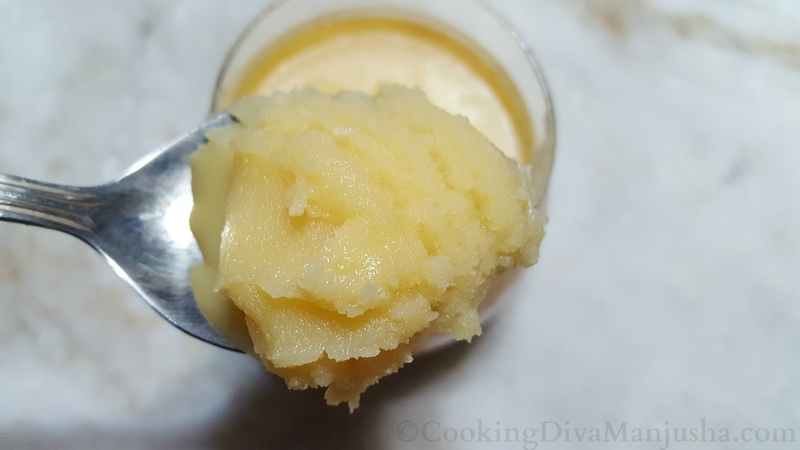 How I made homemade ghee /Clarified butter with homemade butter and WHY ? 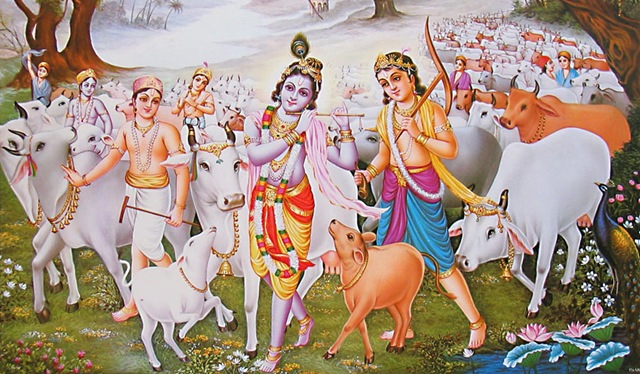 Bhagavad-gita.org - The Vedas have stated that the milk of a cow is equivalent to ambrosial nectar and that ghee derived from cows milk is the best of all libations poured onto the sacred fires of Brahmins. The word ghee is derived from the Sanskrit language: घृत (ghṛta meaning'sprinkled'). If butter is considered sacred and beneficial ,ghee is considered a tad more special and spiritual - pure flowing golden elixir since ancient days especially in India and that's why we (Hindus) worship cow . 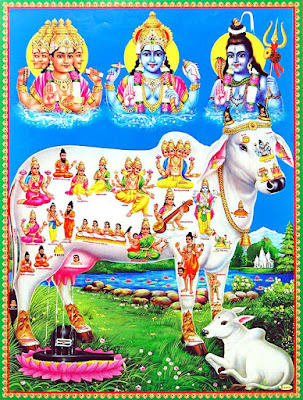 Indians, especially Hindus ,consider cows just like mother nature ; Simply natural and life promoting.In every cow,we believe is a descendant of the holy God-ly cow,Kamadhenu/Surabhi ,Cow of God ,especially supreme Hindu God,Lord Shri Krishna's and why shouldn't we even if it didn't have any importance in our ancient scriptures,stories/puranas . It is pure common sense ; I mean look at this humble selfless cow (unconditional love),it provides us milk which as a matter of fact , belongs to its calf ,which we may further culture it into a yogurt and or homemade Indian cheese,paneer or churn it into a butter or clarify it into ghee and then use any of these dairy products or by-products into any recipe and it becomes tad more special ,taste wise and health wise . Not only that,even cow urine is considered to possess pious and medicinal properties and even cow dung is used for religious ceremonies, like in South India,before preparing a home for some special puja/worship/festival/religious ceremony by Hindu priest/pujari,the house premises where puja will be conducted are usually smeared with cow dung and washed off with water,that is considered to spiritually/religiously purify that area like remove any negativity from that place and make it ready to fill in with positivity . In rural areas,where people don't have gas stove,they use cow dung/gobar ,sundried like a pancake as a fuel to burn or cook food in place of woods. In the Hindu's Holy book,Bhagawad Gita,Cow has got a supreme respectful status .To emphasize it in true /practical sense,Lord Shri Krishna,the supreme God of Hindus ,himself,took an earthly incarnation/ birth as a human and spent his childhood days among cows as a cow herd with his Gopis/milkmaid girl friends(though he was a prince of Mathura ) and so he is popularly known as Govinda or Gopala,the protector of cows ...Jai Govinda! Sad,that our modern era is forgetting the importance of cows,natural organic milks etc etc day by day.Today,cows roam loosely in the busy streets especially in North India,are neglected or butchered for meat or hardly well taken care of, even by the dairy farms or people who own them.Though during my childhood days,I was fortunate enough to enjoy fresh milk we got from the local milkman with healthy cows,unfortunately,today,milks are sold more in packets - plastic packets/bottles. According to Ayurveda,the ancient purely natural healthcare system of India,a science of life ,which relies on balance of mind,body and spirit ,Ghee is considered the natural miracle elixir . Why ? Ghee promotes ojas and tejas - rejuvenates the body inside out by lubricating the connective tissues,digestion,detoxification,promotes the essential vitamins and minerals for a healthy body. Ghee improves immune system and has anti-oxidant properties ,protects body from deadly diseases like Cancer,Cholesterol,controls thyroid issues,various allergies etc. Ghee is lactose and gluten friendly. Ghee is excellent for growing kids ,healthy pregnant women and recovering patients the most. Ghee improves memory,intelligence and overall brain functions. Ghee has a high smoking point than butter and is therefore excellent for cooking without burning or splattering or losing it's vital properties on high heat and producing any dangerous free radicals thereby. Ghee has an anti-inflammatory property and is easier to digest than butter. 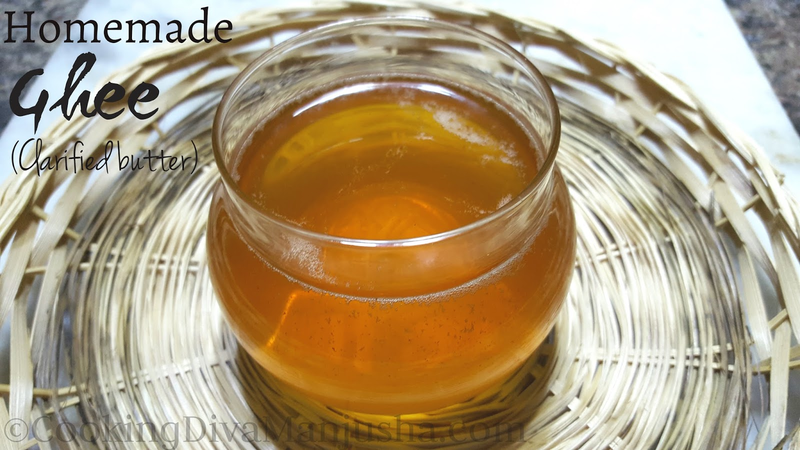 Ghee even helps in weight loss ,though moderation is the key . 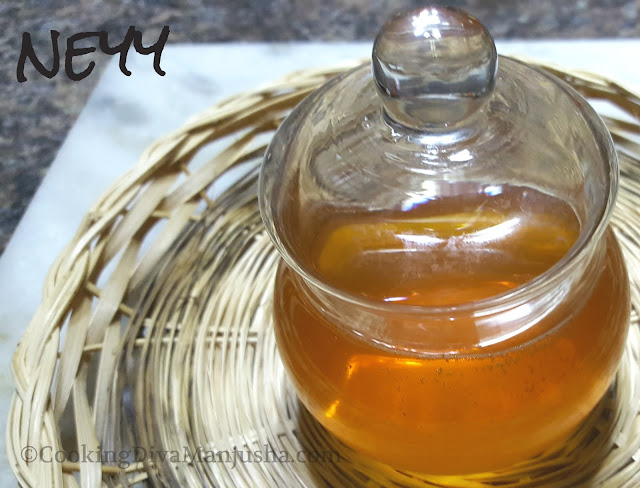 Ghee is great for dry skin,hair growth ,eyes,dark lips and under eyes dark circles or an overall natural moisturizing age-defying skin enhancing home remedy. Ghee is also an excellent natural anti-septic remedy ,used since olden days to treat wounds,burns,scars etc. Ghee has a longer shelf life and doesn't spoil easily even when kept in room temperature. In India,ghee is used in cooking and for religious purpose.Ghee is exclusively used for making sweets,savory and day to day cooking tad more special all over India.Ghee can make any recipes especially Indian, extraordinary ,at the same time,it is not that affordable for everyone and too much of ghee can be harmful in the long run.That's why not every household would be willing to cook using ghee everyday . According to Ayurveda, there are almost eight kinds of ghee and the best ghee-s are those made up of human breast milk and cow (Purely grass fed or organic cattle foods feds) ~ Wiki. Other popular ghee is made from Buffalo milk which is thicker in consistency and has even slightly more vitamins and minerals than cow's milk but cow's milk is easily digestible especially for babies or patients and soothing for proper digestion yet nourishment . 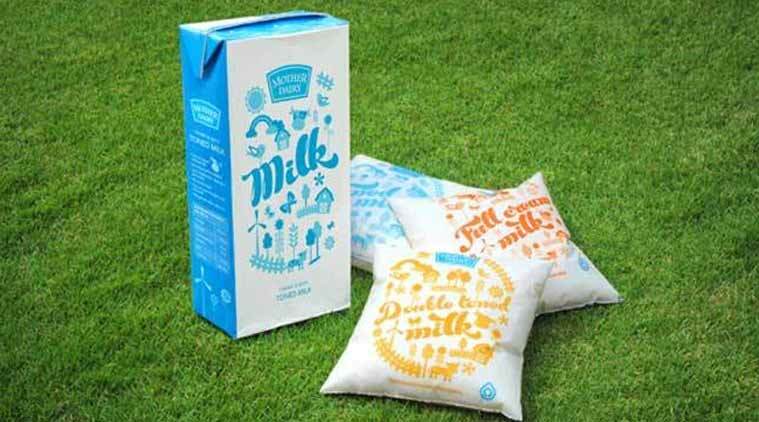 There is also camel milk and goat milk with amazing health benefits . Now there is another dangerous ghee,also popularly used in North India,vanaspati ghee ,vanaspati means vegetable ,but is actually a hydrogenated solidified vegetable oil (usually palm oil) that looks like ghee and is a cheaper substitute to ghee and is also therefore widely used in Indian restaurants and health wise it is very high in trans fat making it very harmful for creating deadly health conditions. 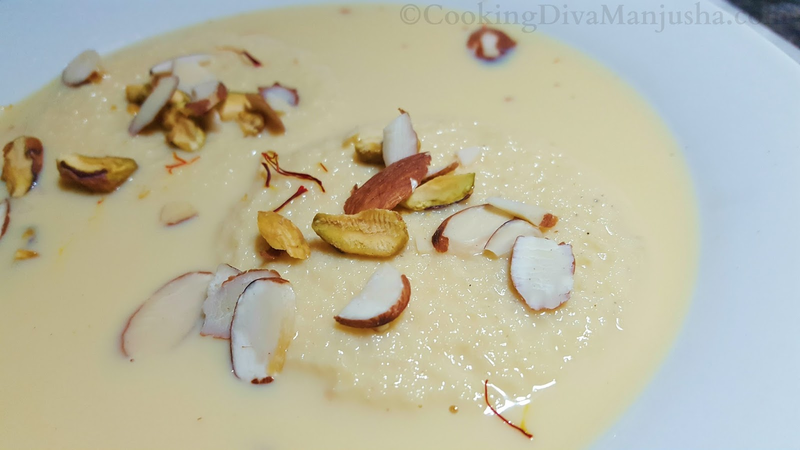 "Dalda" is one of the most popular vanaspati ghee used in India. Ghee is composed of 62% of saturated fat about 8mg of cholesterol per teaspoon.1 Tbsp ghee = 112 calories and no sugar,sodium,fiber or carbs. Egypt -Samna Baladi meade especially with Buffalo milk . Japan - Ghee is mentioned in Nirvaan sutra to make Daigo. How much ghee is recommended as a part of a healthy diet? 3-4 Teaspoons or less per day .People with pre-existing bad cholesterol,obesity or heart diseases should consume ghee carefully. How is ghee made with butter? Ghee is made by melting butter on low flame until all water evaporates and milk solids deposits at the bottom and the pure fat is extracted and it turns golden clear liquid a.k.a Ghee /clarified butter . Ghee should be stored in an airtight container and it is not must to store it in refrigerator but it is good to ,the ghee can be kept outside the refrigerator as well.Just make sure that ,it remains moisture free like use only dry spoons to scoop out ghee or it will encourage bacterial growth and spoil the ghee.This homemade ghee remains fresh for 6 months approx and if stored in the freezer can remain fresh for a year. You can add spices to flavor the butter . 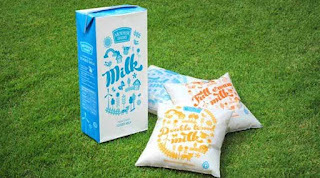 The milk solids left after making butter can be eaten by itself or add little sugar or spice and eat it.It tastes good but some may not like it. I got approx 200 gm of butter here. 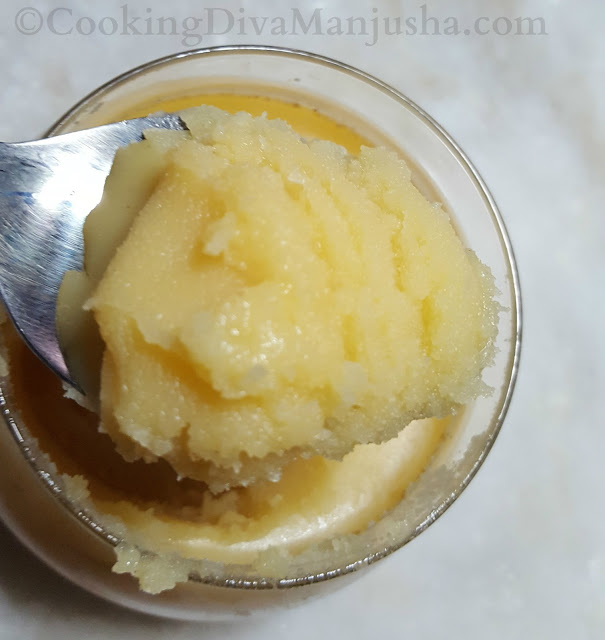 I am still trying to find the best organic butter or milk I can trust for making shudh ghee or desi ghee and this is to show how I make ghee at home with butter mainly. 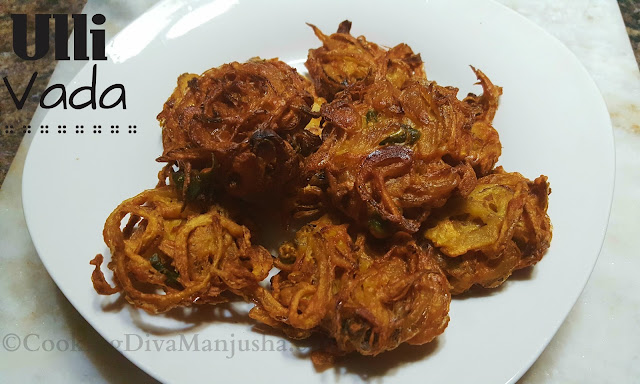 Ulli vada is nothing but Onion fritters Kerala style /Onion Pakoda (Pyaaz Pakoda) in Hindi .Ulli vada ,I believe, is the easiest fritters among the vadas ,which doesn't require any soaking lentils ,grinding into any sorta paste ,neither,like any other fritters that require a liquid-y batter to make them .Yes,this Ulli vada has in itself the magic to make the batter and that's exactly what I love about them and what made me a fan of this crispy crunchy ulli vada . 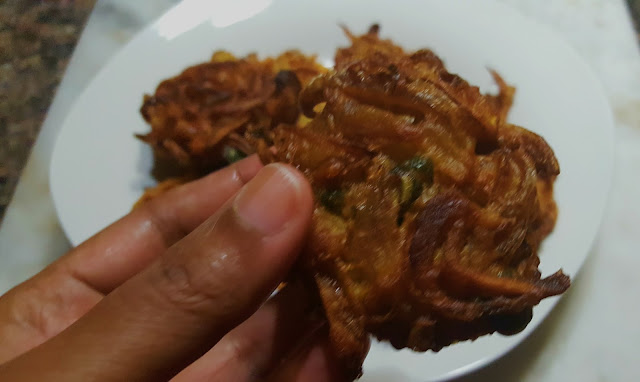 It was my better 1/2 who introduced me to this onion fritters in Kerala because he is a die hard fan of snacks and ulli vada from Kerala tops that list .However,there are two different kinds of ulli vada it seems - one ulli vada made with Gram flour/Kadalamaavu and other Ulli vada made with All purpose flour/Maida which is quite sold in almost all restaurants from small scale to upscale restaurants in Kerala.Both vadas look different and so are their taste .However,my hubby loves both Ulli vadas and I am a fan of the ulli vada made with gram flour only and that is the one I make at home mostly . 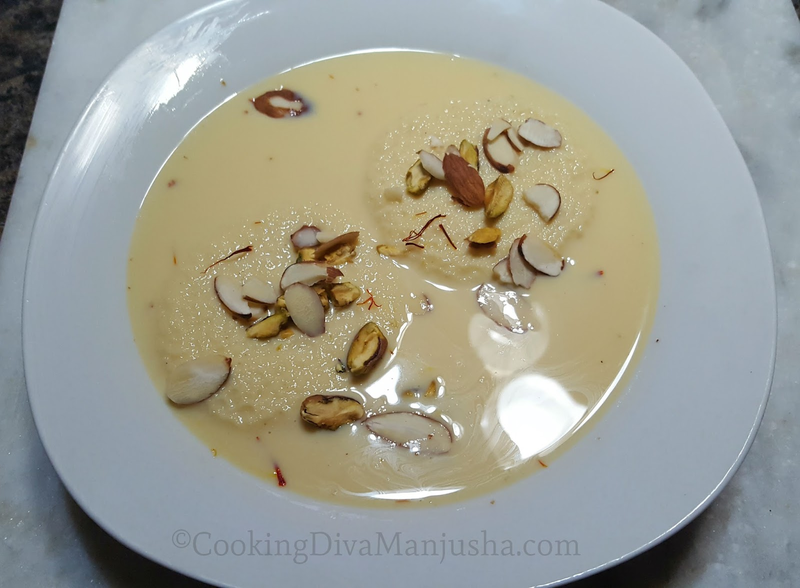 Bread Rasmalai is a famous Indian sweet or dessert that was derived or say inspired by the original authentic sweet ,"Rasmalai " (My mouth is watering!😝) ,which is one of the popular sweet in India.However,to make the original Rasmalai,it can be little time consuming . Look at those bread slices ,it is like they are having a luxurious shweet spa treatment ! 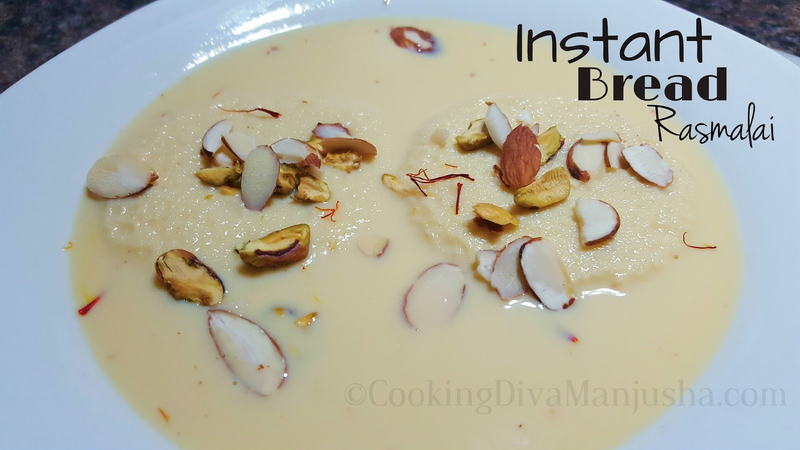 Moreover,I am going to share how to make an instant Bread Rasmalai recipe that you can prepare more quickly ,easily annd it tastes awesome in its own way . Bread slices - 2-4 Nos. 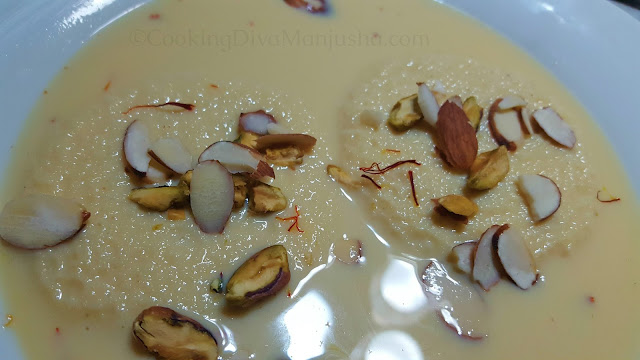 Preparation method to make bread Rasmalai : Pls watch my video that will show you how to make this quick and easy tasty Rasmalai at home . Kundru ki bhujia/bhunjia is a North Indian recipe - An Ivy Gourd stir fry Bihari style recipe .This Ivy Gourd recipe is quite simple to make and it goes really well with roti,chapathi,rice,poori etc . 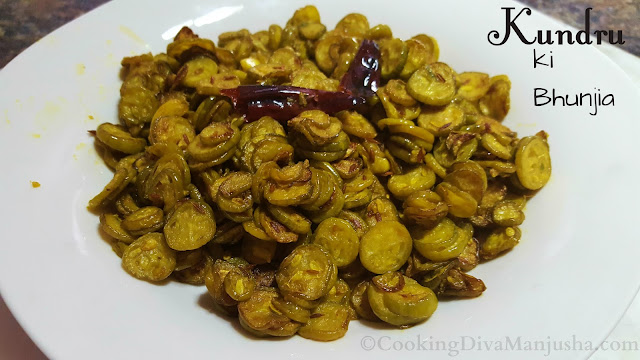 Whenever I make this Ivy Gourd recipe,the simple aroma emitting from this very simple stir fry,reminds me of my neighbor next door Bihari aunty's kitchen ,which was adjacent to our quarter's kitchen in North India ,during my childhood days. And as I have mentioned several times,we used to live in an amazing neighborhood or may be it was my parent's amazing rapport with everyone regardless, we all shared food with each other occasionally,special food preparations during festivals or just like that and this Ivy Gourd stir fry /Kovakka mezhukkupurratti /Kovakkai poriyal was one which my dearest Bihari aunty would share with us with hot soft and fluffy poori-s . Preparation method to make this ivy gourd recipe : Pls watch the video that will guide you how to make this kundru ki bhujia properly. Not only that,I also believe, I have a divine connection with butter because according to our Indian astrology,my nakshatra,the Indian zodiac sign is Ashtami Rohini ,which is also the Supreme Hindu God,Shri Krishna's as well and all Indians are well aware of the fact ,that butter is Lord Shri Krishna's favourite food and his mischievous tales of stealing and eating butter at home non-stop,churned by his mother,Yashoda and Yashoda also had a hard time controlling Lord's splurge thereby. 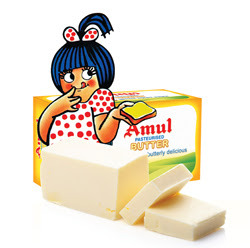 And so ,my mother would always pull my leg reminding me every now and then ,why I adore butter so much ! 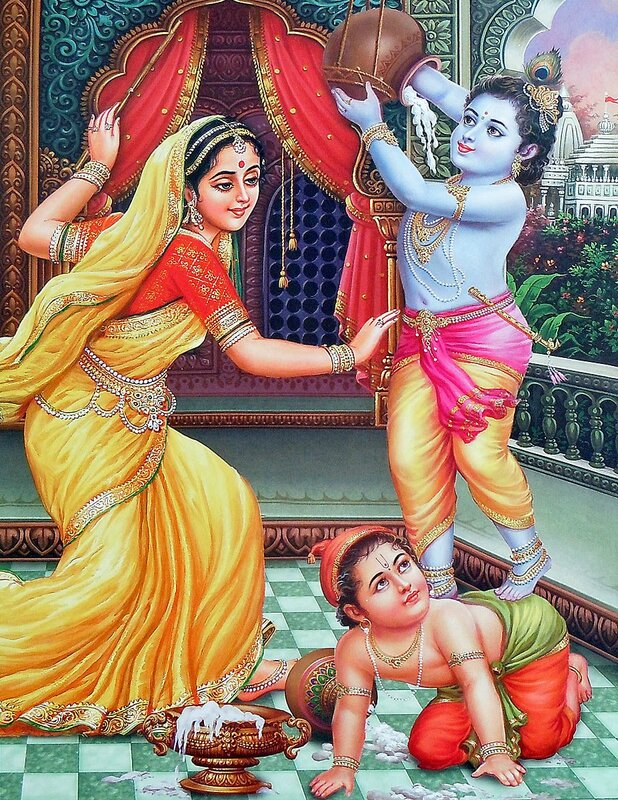 Guess what, even our house name in Kerala is related to Shri Krishna's native place. 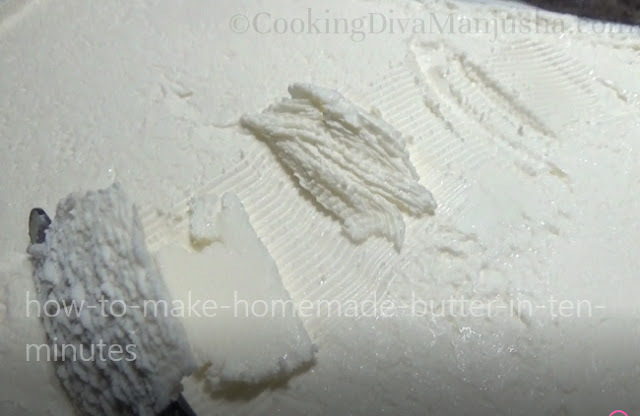 So,well,it's in-built in my nakshatra.You see,I can't help it .That's why, I only buy butter when I have to by any means use butter in my recipes and butter substitutes like margarine etc are certainly a no-no for me and I consider them more unsafe for health. 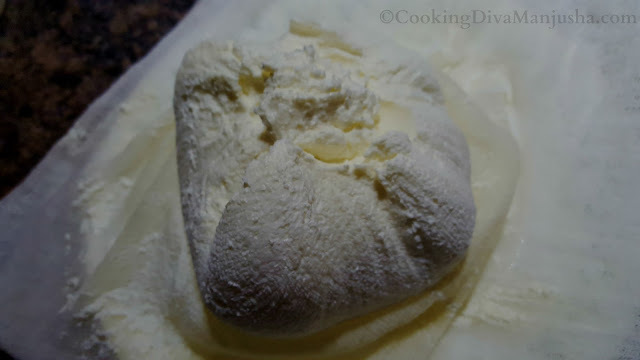 Butter has been used since millennia from civilization to civilization ,culture to culture,country to countries,recipes to cooking and is considered sacred physically,mentally and spiritually from time immemorial around the world. The name ,"Butter", originated form the term "Bou-Tyron" meaning,Cow cheese in Greek . Pure butter is in fact very beneficial for good health and well-being overall : BUT,moderation is the key! Butter has loads of vitamins and minerals . Provides healthy saturated fats to build metabolism and when taken in moderation even helps in promoting weight loss. Helps in hormone production - especially thyroid related ones. Keeps our immune system strong. Maintains strong bone and teeth. 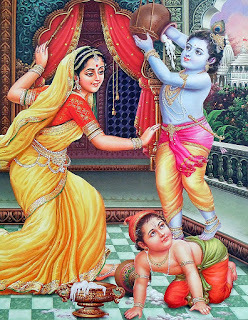 Helps in the development of brain,nervous system etc. Protects against any gastrointestinal infections or arthritis in joints. Good for skin ,hair and eyes. The first reference to butter was found 4,500 years ago on a limestone illustrating how butter was made in ancient times. 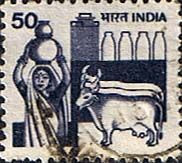 In India,butter was considered holy and used for religious purpose and also to light lamps. In Northern Europe,butter was used for preventing any kidney or bladder stone formation . In Bible ,butter is considered divine as well,mentioned as special offering to three angels by Abraham and Sarah. 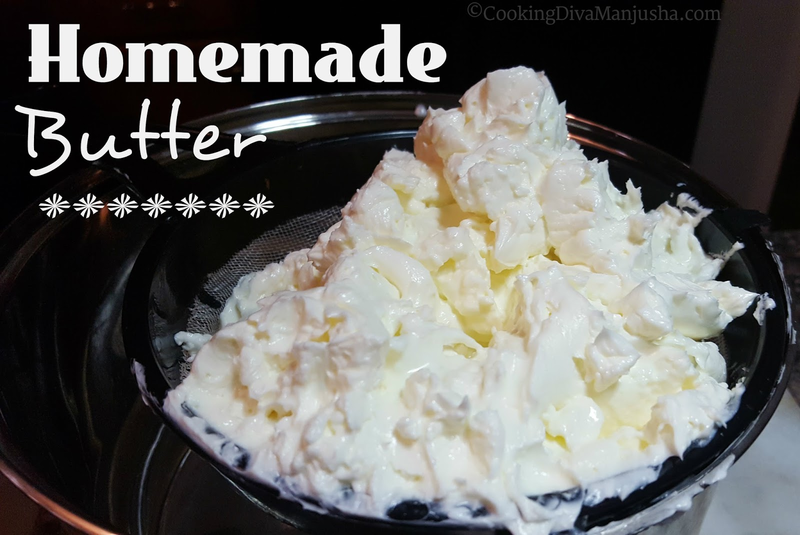 Did you know,I made quick and easy homemade butter in just 10 minutes? This butter recipe is quite easy and simple .There is only one ingredient for making this super quick butter at home by using a blender and just Heavy whipping cream (I used 1 Quart - 946 ml but any amount can be used ,just follow the exact method to make this butter) .What I loved the most was the transformation process of becoming flavorful butter from cream, which tastes better than a store-bought one .It is pure magic !! My most favorite comfort food to eat and I wish I could eat it every morning every day is simple-y - Warm soft White bread ,smeared with pale ,smooth,soft ,lukewarm butter - oh Utterly butter-ly delicious (Right Amul ?) !!! 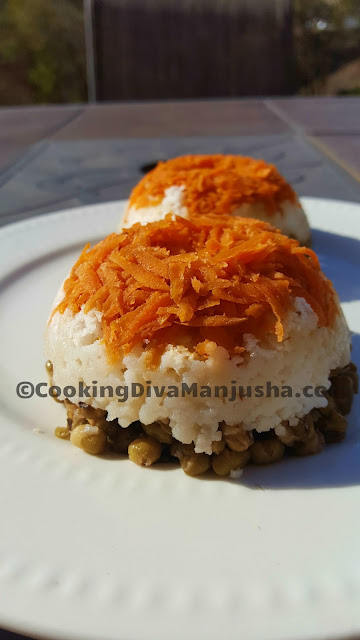 On the eve of the 68th Republic day celebration in India on January 26th ,even my food ,as most of the time, got a patriotic makeover by becoming a simple humble puttu to a Tricolor Puttu . 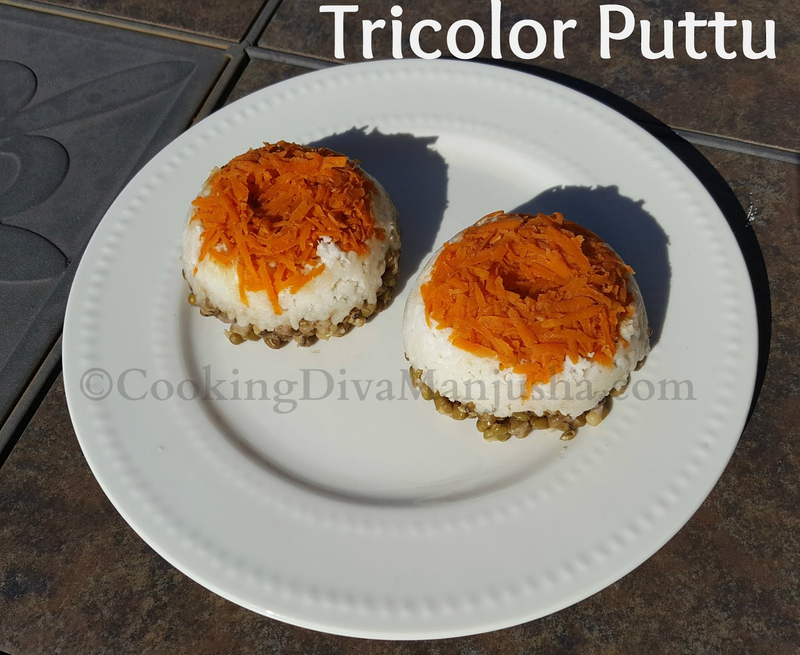 So,Tricolor puttu is a healthy version of Kerala puttu recipe with the goodness of vitamins in carrot,fiber and protein in mung beans/cherupayar and rice is carb and coconut is a good fat ,nutritious and so they are as colorful and meaningful like the Indian flag.So,this is an Indian Republic day's special tri color food representing India /my humble dedication as always. May we spread peace,happiness and prosperity as our passion..